Oh hello! Another lip gloss eh? 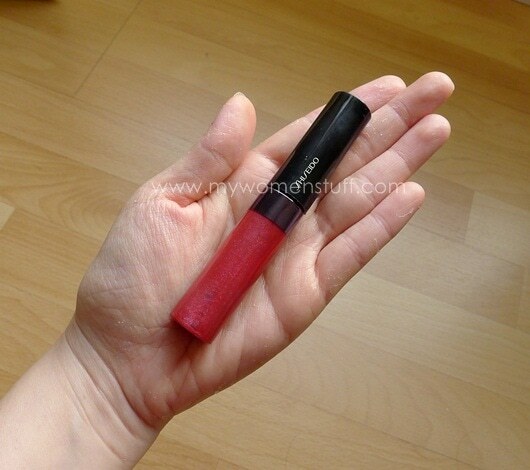 🙂 Since we can’t get D&G Makeup here, I thought I’d show you a lipgloss with a colour similar to Passion that we can get locally. The gloss is quite small. Just about fits into my palm or a jeans pocket without looking too obtrusive. Nothing very remarkable about the packaging although I appreciate the clear acrylic plastic bottom so you know just how much is left…. or how much you have left to go as the case may be. See what I mean? 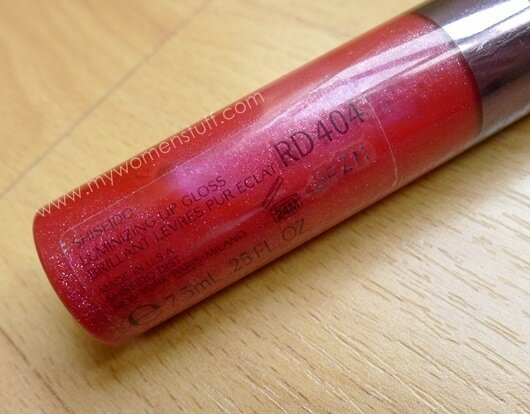 No shimmer but a pretty sheer lipgloss. 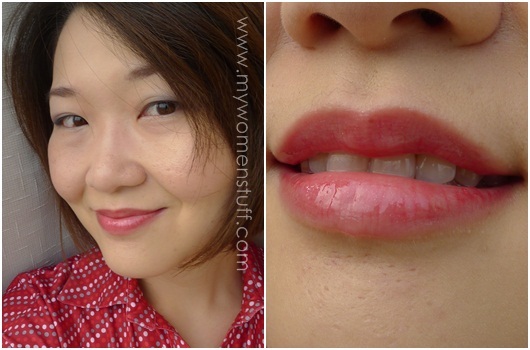 If you are one of those who are scared of red lips, try this one. A sheer red gloss is a good introduction to red lips and soon, you’ll be ready to brave the red lipstick 🙂 Also, the slight blue tint is usually more flattering to teeth and the like. The applicator is a brush (yay!) that applies easily and does not splay out everywhere so application is quite easy. It isn’t sticky(yay!) and you can layer it on for more colour and shine without it looking (and feeling) tacky. 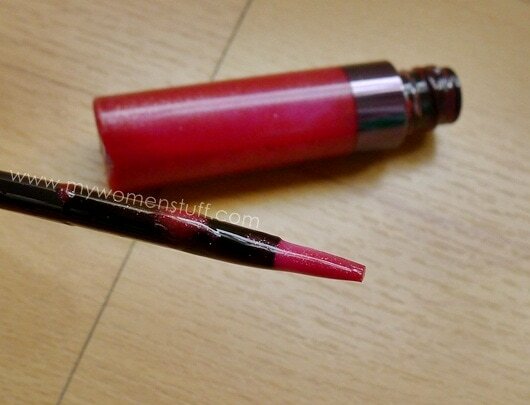 The colour on the brush and in the tube is really brighter than it looks on the lips which is a good or bad thing depending on what you are looking for. 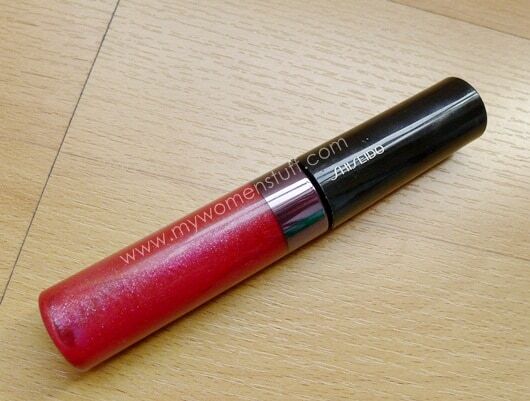 Shiseido Luminizing Lip Gloss retails at RM79 at all Shiseido counters. Look like something I would wear 🙂 I’m more into lipsticks nowadays than lipglosses. Goody! LOL I’m a lipstick gal through and through which probably tells in my choice of lipsticks – pigmented, strong colours, not sticky LOL! Ms B, you really are not good for my wallet! Thanks for the review! As a girl who is still terrified of the red lipped look, I love this lip gloss colour and am seriously tempted to go look for it now. Darn you duty free! Ooh going on holiday? Shop up a storm and make us proud y’hear?! 😉 I think you might be able to get this one for a little cheaper at the airport and its a great introduction to red lips! And I saw your Shiseido at Changi duty free… for 45 SGD. Chokes. Not at all cheaper. Shocking. Yikes! Cheaper to get the Shiseido here in KL! 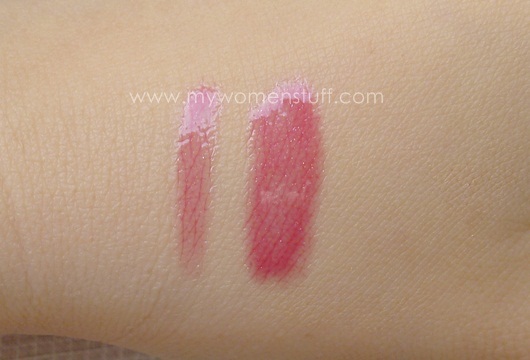 Erm not as pigmented as strawberry and (thank God!) no scent! I like how the brush applicator looks so neat. And the little shimmers are barely there, looks great! It looks great on you, love it!